Hitched: James & Leslie's Rookery Wedding - Part 1 — Sweetchic Events, Inc. Happy Friday!! It's a beautiful fall day in Chicago! Today I'm sharing part 1 of James and Leslie's beautiful Rookery wedding. Anyone who knows anything about me and Sweetchic Events knows that I L.O.V.E. The Rookery Building, and that is my favorite venue in Chicago! Leslie and James planned their wedding from out of state, and contacted me in January to help with their June 3rd wedding... not much time, but enough for us to pull together the soft, romantic wedding of their dreams! Despite the short time frame, they managed to snag photographer extraordinaire, Kenny Kim, who kindly sent me these beautiful images to share! Leslie and her bridesmaids all wore Reem Acra gowns and were stunning!! Soft, romantic, vintage-inspired bouquet by Fleur! 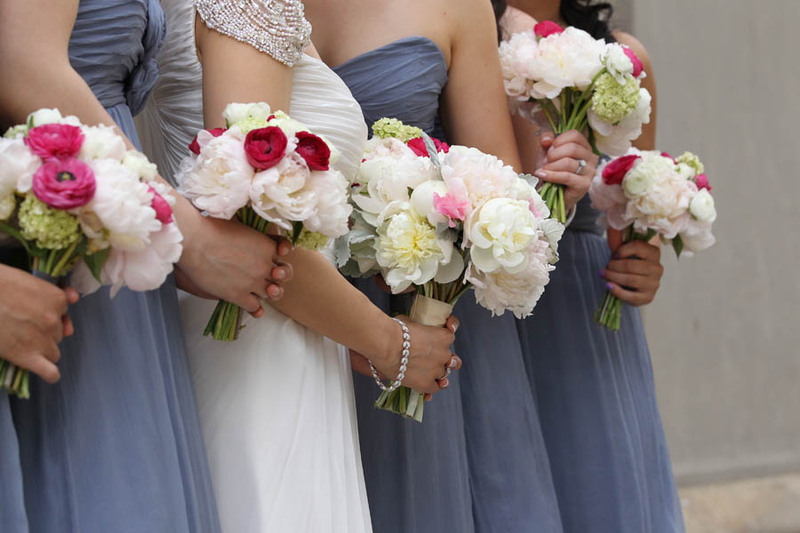 I always envy spring brides because they can have peonies in their bouquets! 4. Leslie.James.RookeryWedding. Kenny Kim Photography. Sweetchic Events. Fleur. White Pink Peony Bouquet. I think I love the classic black bow-tie look even more than white bow-tie! Their First Look at the Intercontinental O'Hare. 9. Leslie.James.RookeryWedding. 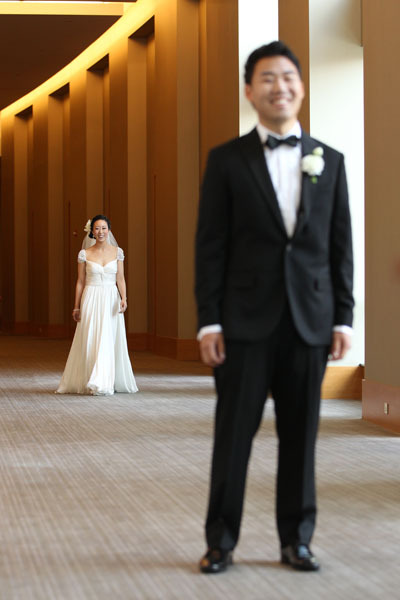 Kenny Kim Photography. Sweetchic Events. First Look. The courtyard/gardens directly south of the Art Institute of Chicago is a gorgeous backdrop!